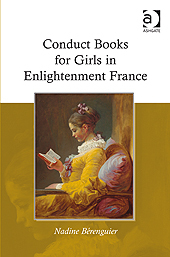 Ashagte, mai 2011, 294 p.
During the eighteenth-century, at a time when secular and religious authors in France were questioning women’s efforts to read, a new literary genre emerged: conduct books written specifically for girls and unmarried young women. 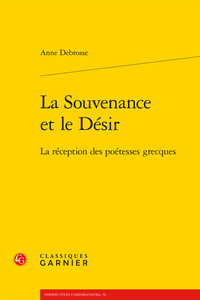 In this carefully researched and thoughtfully argued book, Professor Nadine Bérenguier shares an in-depth analysis of this development, relating the objectives and ideals of these books to the contemporaneous Enlightenment concerns about improving education in order to reform society. 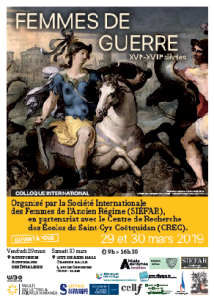 Works by Anne-Thérèse de Lambert, Madeleine de Puisieux, Jeanne Marie Leprince de Beaumont, Louise d’Epinay, Barthélémy Graillard de Graville, Chevalier de Cerfvol, abbé Joseph Reyre, Pierre-Louis Roederer, and Marie-Antoinette Lenoir take up a wide variety of topics and vary dramatically in tone. But they all share similar objectives: acquainting their young female readers with the moral and social rules of the world and ensuring their success at the next stage of their lives. While the authors regarded their texts as furthering the common good, they were also aware that they were likely to be controversial among those responsible for girls’ education. Bérenguier’s sensitive readings highlight these tensions, as she offers readers a rare view of how conduct books were conceived, consumed, re-edited, memorialized, and sometimes forgotten. 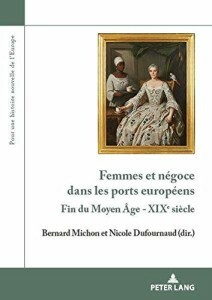 In the broadest sense, her study contributes to our understanding of how print culture in eighteenth-century France gave shape to a specific social subset of new readers: modern girls. Textual Strategies: Between oral and print cultures; Authorial anxieties. Topoi: Perceptions of motherhood; Maneuvering new social spaces; Marriage and its disillusions. Reception: The cultural landscape of the18th-century press; Anne-Thérèse de Lambert’s Avis d’une mère à sa fille; Madeleine de Puisieux’s Conseils à une amie; Jeanne Marie Leprince de Beaumont’s Magasin des adolescentes and Instructions pour les jeunes dames; Louise d’Epinay’s Conversations d’Emilie; Graillard, Cerfvol and Reyre; Conduct books in early literary history; Editorial fortunes in the 19th century; Bibliography; Index. Nadine Berenguier has a Ph. D. from Stanford University and is Associate Professor of French at the University of New Hampshire, USA. 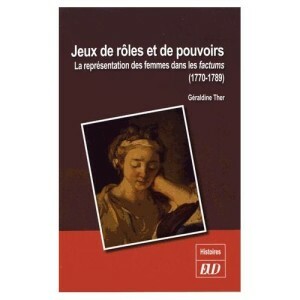 She is the author of L’Infortune des alliances: contrat, mariage et fiction au dix-huitième siècle.